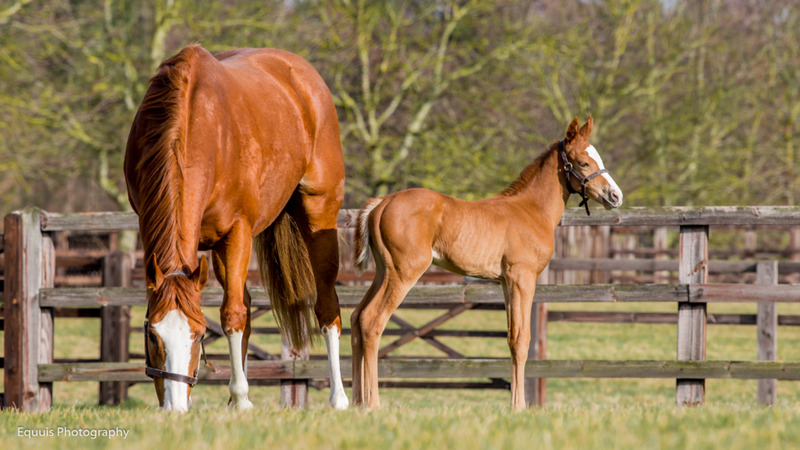 Blue Diamond Stud in Newmarket is entering the next phase of its evolution, with the debut crop of foals by homebred Group 1 winner Decorated Knight hitting the ground this year and a restructuring of its broodmare band and ownership of its stock. Under the guidance of long-standing racing and bloodstock adviser Tony Nerses, the stud has been developed by owners Saleh Al Homaizi and Imad Al Sagar. However, due to business commitments, Al Homaizi is no longer involved in Blue Diamond’s racing or breeding programmes, a change that saw some high-profile stock come on the public market last December. Chief among the offerings was Decorated Knight’s dam Pearling, with Al Sagar taking outright ownership of the daughter of Storm Cat with a bid of 2,400,000gns. 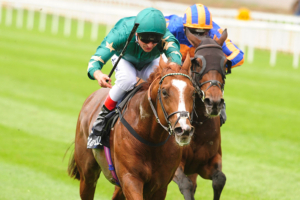 Al Homaizi has, however, retained his 50 per cent share in Decorated Knight. “I hope our next chapter will be as good as the last,” says Nerses, before expanding on the mating plans that could well yield Blue Diamond’s next star. A half-sister to the same firm’s classy Ayrad, Dawn Of Hope landed the Prix Petite Etoile at Deauville and was Group 3-placed for Roger Varian. 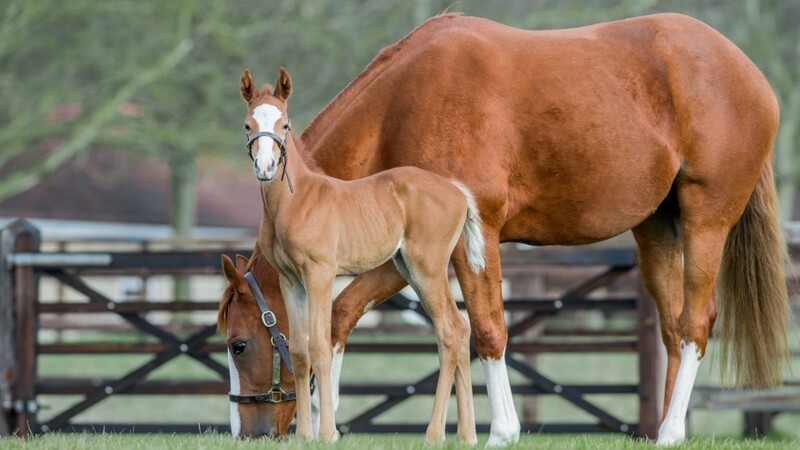 “Dawn Of Hope has foaled a smashing filly by Decorated Knight – she’s very typical of the quality that we are seeing from his first foals,” says Nerses. 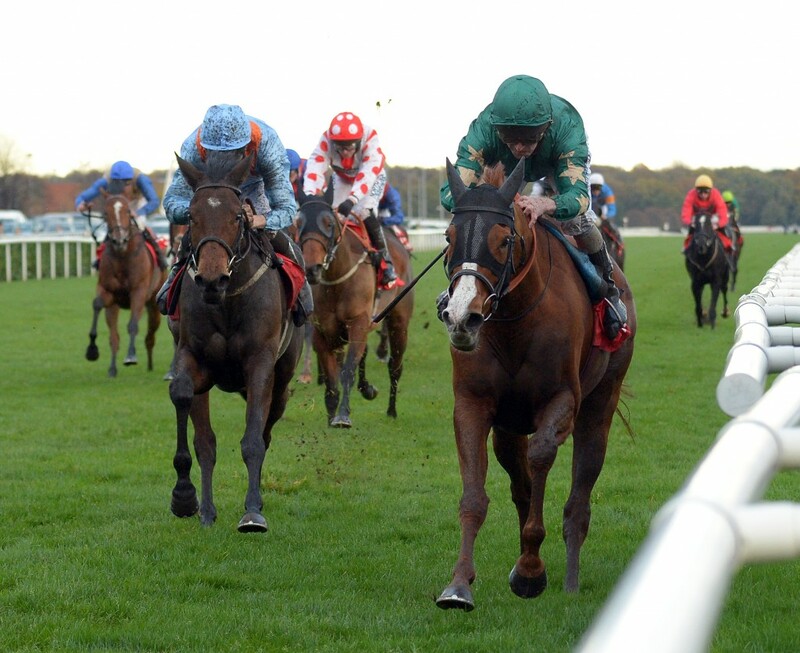 The daughter of Hennessy is returning to the sire to whom she produced Group 2 winner Ajaya. 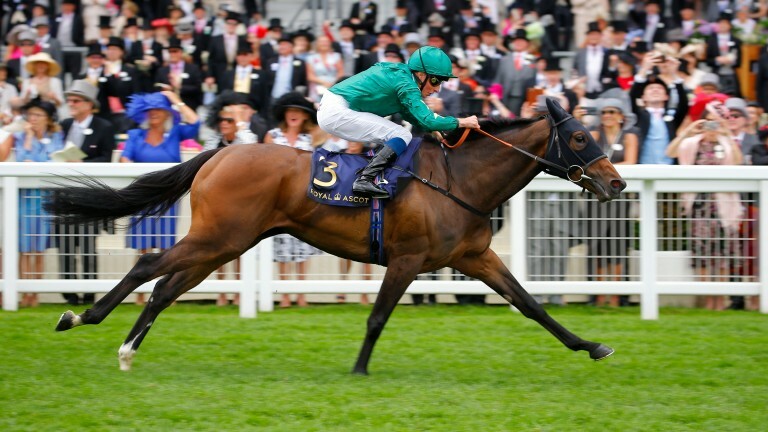 She is also the dam of the promising Extra Elusive, who ran second in Saturday’s Magnolia Stakes at Kempton Park. Nessina also has a two-year-old colt by Zoffany, who is among a first batch of horses sent by Imad Al Sagar to John Gosden, and is carrying to Siyouni. A daughter of the stud’s foundation mare Majestic Sakeena, Nouriya won the Lyric Fillies’ and John Musker Stakes. She has since excelled at stud as the dam of Duke Of Cambridge Stakes heroine Aljazzi, who subsequently sold for a sale-record 1,000,000gns to Newsells Park Stud at the 2018 Tattersalls Autumn Horses in Training Sale. She is among those carrying to Decorated Knight. “We all know how well Lope De Vega works with Danehill – perhaps some of it is the inbreeding back to Almahmoud at work. Obviously he’s an excellent sire on the way up who looks primed for a big season with his three-year-olds. Given Nouriya’s previous success with Shamardal, he was the logical way to go. Pearling topped last year’s Tattersalls December Sale when Imad Al Sagar bought out partner Saleh Al Homaizi on a bid of 2,400,000gns. Al Sagar also secured her 2018 Galileo filly on a sale-topping 1,700,000gns at the foal sale. The reasoning was obvious. Originally bought by Nerses for 1,300,000gns, Pearling’s first foal was Decorated Knight, the Irish Champion Stakes, Tattersalls Gold Cup and Jebel Hatta winner of 2017. All the while, her immediate family was becoming one of global importance. 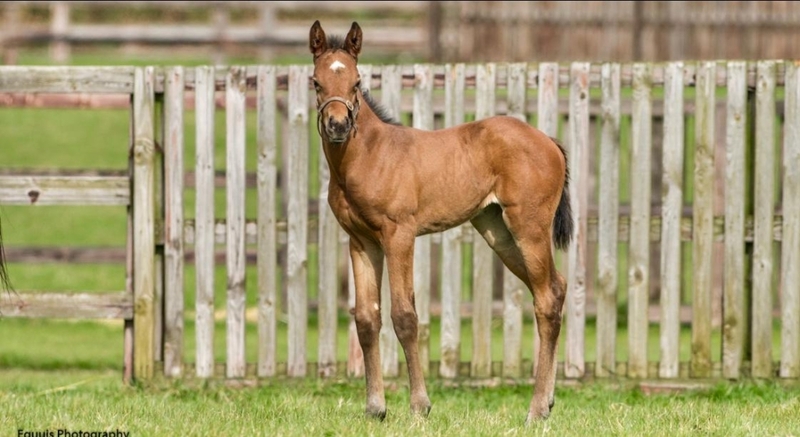 Already a sister to champion Giant’s Causeway at the time of her original purchase, Pearling’s sister You’resothrilling later produced Gleneagles, Happily and Marvellous among others. “Decorated Knight was an outstanding horse for us and now we’re delighted to be supporting him at stud. Winner of the Gillies Fillies Stakes and runner-up to Ribbons in the Prix Jean Romanet, Princess Loulou’s first foal, a Zoffany colt, is with Roger Charlton, and she is carrying to Frankel. “We’re keen to support Decorated Knight again this year with a quality book of mares, especially after seeing his first foals,” says Nerses. Shaden had her moment in the sun when she won the Firth Of Clyde Stakes. 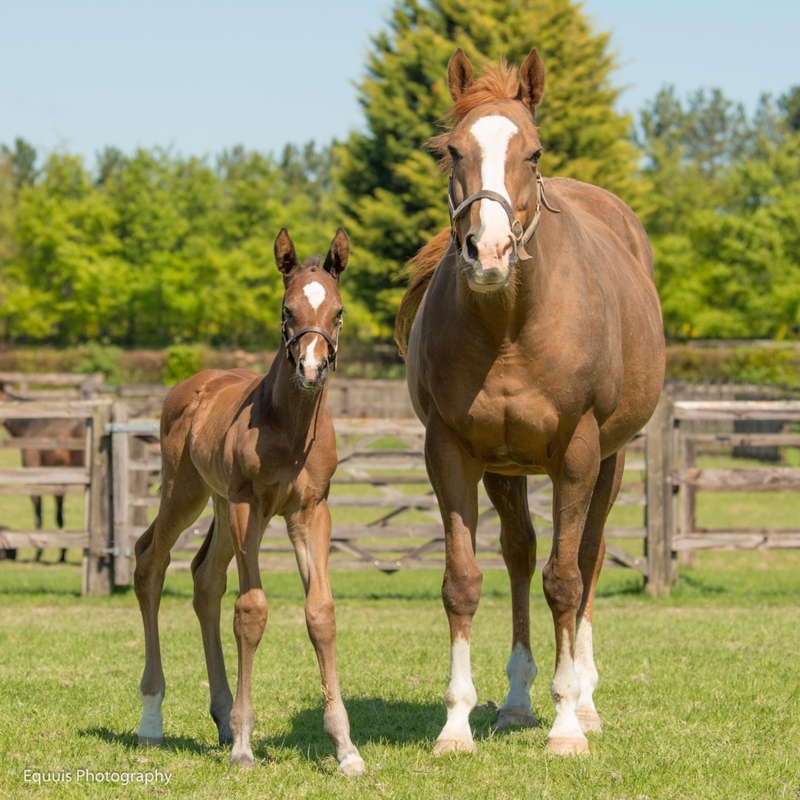 Her first foal is a yearling colt by Dark Angel and her second, a chestnut son of Decorated Knight, arrived earlier this year. Successful in the Listed Vincent O’Brien Ruby Stakes for Aidan O’Brien, Soon is the dam of the winning Jousi, who will begin her own breeding career when visiting Golden Horn this year. Soon also has a three-year-old Dubawi filly, Tuk Power, who sold for 1,300,000gns to SackvilleDonald as a yearling and is now in training with Andrew Balding. 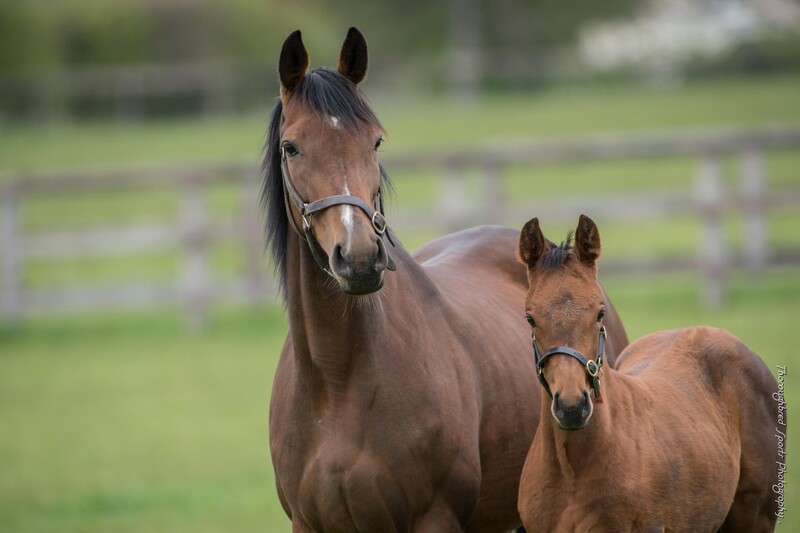 The mare also has a two-year-old filly by Lope De Vega named Summer House with Saeed bin Suroor and a yearling filly by Fastnet Rock. She is due to foal to Dubawi this year. “We’re seeing more successful inbreeding back to Sadler’s Wells via Montjeu and Galileo, and in the case of Camelot, it’s already provided Sir Erec. Soon is also a half-sister to a very good Montjeu horse in Walk In The Park. 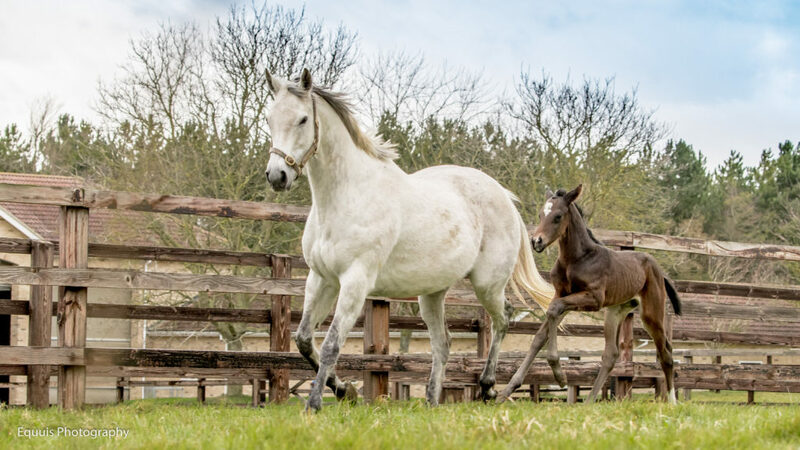 A half-sister to Racing Post Trophy winner Crowded House and from the family of Storm Cat, Woodland Scene’s second foal is multiple winner Martineo. Her two-year-old Mastercraftsman colt is with Roger Charlton and she also has a yearling colt by Ajaya. She delivered a Declaration Of War sister to Martineo in February. “We’re delighted to be using Justify with Woodland Scene, whose family has been effective on both turf and dirt in recent years. Justify was an incredible horse and a very strong, striking physical to go with it,” says Nerses. Blue Diamond Stud threw strong support behind their triple Group 1 winner Decorated Knight in his first season at the Irish National Stud last year by sending him 24 mares. In addition to Nouriya, Shaden and Dawn Of Hope, they included: Group 3 winners Princess Noor (who sold for 675,000gns to Barronstown Stud at the Tattersalls December Sale) and Lady Wingshot, Order Of St George’s half-sister Arwa and Cable Bay’s half-sister May Rose. The stud is sending another eight to the son of Galileo this year, including the Group 1-placed Princess Loulou, stakes producer Epiphany, Mastercraftsman’s sister Maid To Master and Arwa. “The foals are exceeding all expectations,” says Nerses. “We have five on the stud so far and we’re impressed with all of them – they appear to have great quality, athleticism and substance. Arwa’s colt, the first born on the stud, is particularly nice. 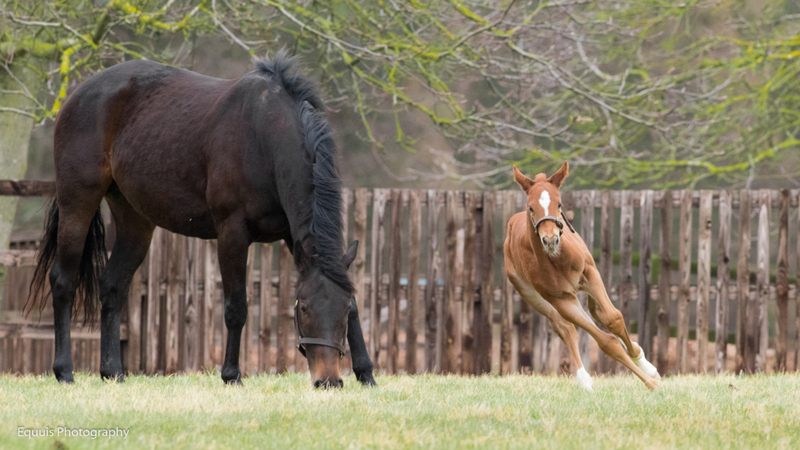 And May Rose’s filly is full of quality.